We are committed to seeing you through your family and matrimonial issues, efficiently, wisely and strategically. We will provide you with the emotional support needed to assist you in making cost effective decisions that benefit your family. We are skilled negotiators whose cases most often result in settlements, but we are also tough, able, and honest litigators who can try a case aggressively when necessary. We speak for and to our clients in an informed, dignified, and thoroughly professional manner. We are committed to excellence, professionalism, integrity, and good citizenship. Our reputation for fulfilling that commitment has been recognized and supported by our clients, whom we represent. Risa is a partner with Kass & Navins, PLLC in Westchester. 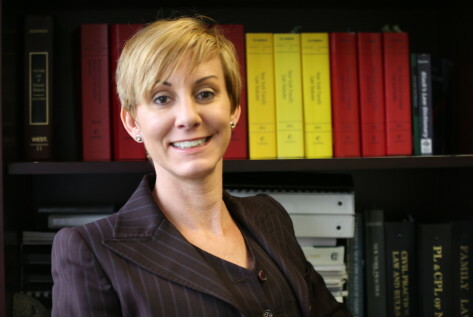 Her practice is focused on providing counsel in a wide range of matrimonial and family law matters including divorce, child custody and access, spousal and child support, paternity, prenuptial, postnuptial and separation agreements as well and the intersection of Family matters with criminal and real estate matters. Risa became involved in the practice of Family Law in her third year of law school, while working with victims of Domestic Violence in Queens County Family and Supreme Courts as a legal intern in the Battered Woman’s Rights Clinic. After law school Risa was an associate in well established law firms where she litigated numerous cases in the Matrimonial, Civil and Criminal fields in Family Court, Supreme Court, Appellate Division Second Departments and in NJ Federal Court. She has focused predominantly in Matrimonial and Family Law and all its related aspects. Risa is the former chair of the Young Attorney’s Committee of the Rockland County Bar Association (RCBA) and she is a former board member of the RCBA. Risa is admitted to practice in NY, NJ and the United States Supreme Court. Risa serves as an Attorney for the Children in several New York counties. In combination with continuing her legal education, she has studied Psychoanalysis at the Center for Modern Psychoanalysis (CMPS) in the West Village of NYC. Risa is intimate with the path and grief associates in the divorce process; and can empathize and develop a deep commitment to advocating for her clients. Risa’s practice offers personalized, one-on-one, immediate attention, as well as in-depth explanation of the divorce process as the case progresses. Risa is a Rockland County native. She has received her Bachelors of Science in Biology from the University of Colorado at Boulder (1997) and her Juris Doctor from City University of New York. After college, she conducted research in Belize Central America. Her work in Belize led to an adoption of an eco-friendly management plan for the surrounding southern cayes of Belize. She is a seasoned endurance athlete and SCUBA diver. Dana is a partner with Kass & Navins, PLLC. Her practice predominately focuses on Family Law and Matrimonial although she is adept at tackling other areas of law when they intersect with a divorce action. 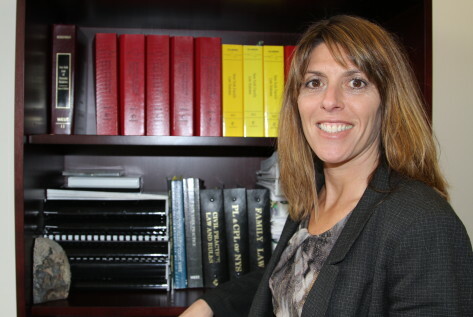 Dana dabbled in personal injury and commercial litigation before landing in Family Law. Early on in her career she left the private sector to work for the Administration for Children’s Services (“ACS”) where she prosecuted child abuse and neglect cases in New York City. In addition to focusing on child protection, Dana honed her trial skills doing countless trials and advocating on behalf of her clients. After the birth of her first child, Dana left ACS in 2002 and returned to the private sector, practicing solely Family and Matrimonial Law and adding Mediation to her practice. Dana fully appreciates the emotional complexity involved in matters having to do with family, marriage, finances and domestic violence. Each case is unique and carries with it a particular set of circumstance. Dana is especially skilled at understanding the nuances of each matter and employs an unusual combination of strength and sensitivity for her clients. Dana is a Westchester resident who practices prominently in Westchester & surrounding counties. She is the mother of two children and an incredibly cute dog named JoJo.